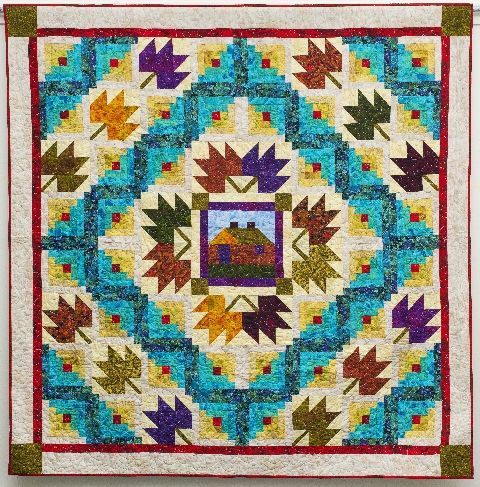 This Maple Cabin Quilt Pattern from Linda Hahn celebrates autumn. It’s colorful, it’s warm, and it’s a gorgeous fall project for you to start today!.. The Project in 4 parts available for free at AQS blog.